Trimble recently announced the release of the Trimble Earthworks GO! Grade Control Platform, a 2D grade control solution for compact machine grading attachments. Trimble Earthworks GO! enables high-accuracy grading in an easy-to-use, portable platform. It is the only Bring Your Own Device (BYOD) compact machine control solution available today that runs on Android or iOS smartphones. Trimble Earthworks GO! 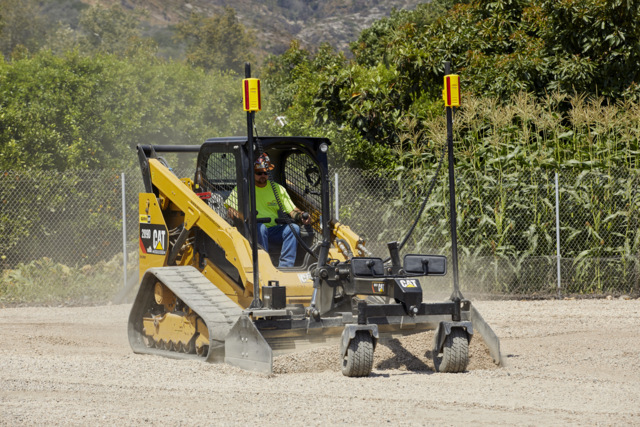 can be used by contractors involved in general construction, site preparation and utility work for grading flat and simple slopes. The system leverages laser technology to provide dynamic, real-time position information that allows the operator to grade or cut profiles quickly and accurately. The platform requires little training time and can increase an operator’s productivity up to 20 percent. At the core of the system is the Earthworks GO! software that guides the user through installation, setup and operating modes. The software was specifically designed for local small site contractors and owner-operators, featuring unparalleled ease-of-use. 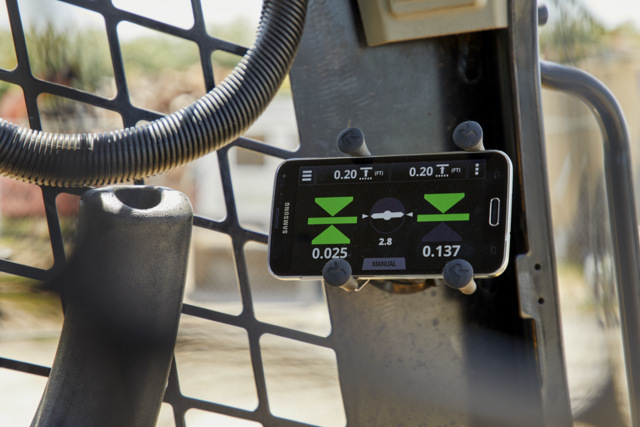 iOS and Android compatibility allows operators to use their smartphone as the primary machine interface. Trimble Earthworks GO! is the easiest system on the market to install. Trimble’s proprietary GO! Box enables full sensing technology with no mounting hardware needed. Contractors can save machine profiles to the GO! Box to ensure the grading attachment only needs to be set up once. This innovative capability makes it quick and easy to move the system between machines. For more info on Trimble, click this link. Hurry! Before it’s too late!